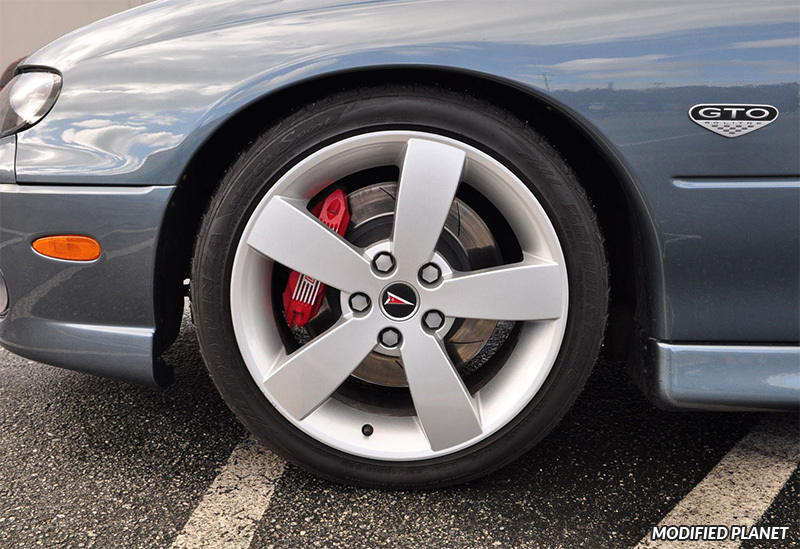 Harrop BK Performance brake kit installed on a modified 2005 Pontiac GTO with Cyclone Gray Metallic paint. The Harrop BK Performance brake kit offers improved brake feel, reduces brake fade, larger diameter and significantly thicker rotors. 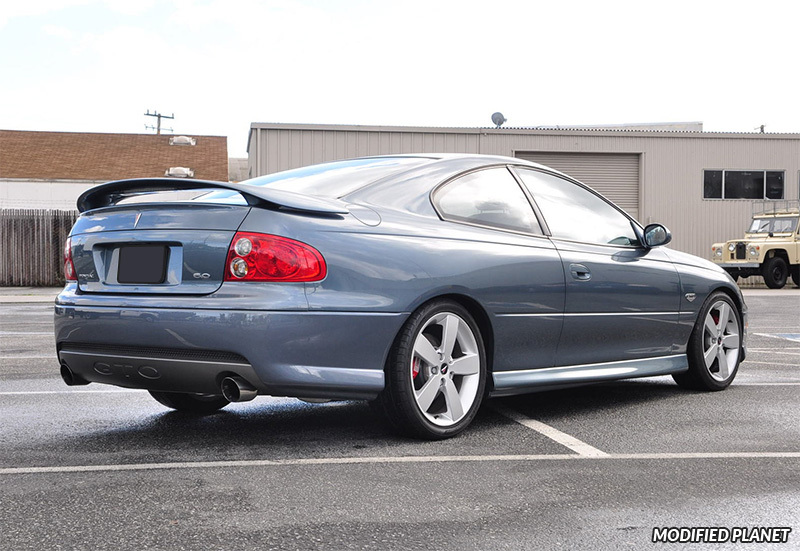 If your modified 2005 Pontiac GTO has increased power and torque due to car modifications, the Harrop BK Performance brake kit is a great value for money over the original equipment brakes. 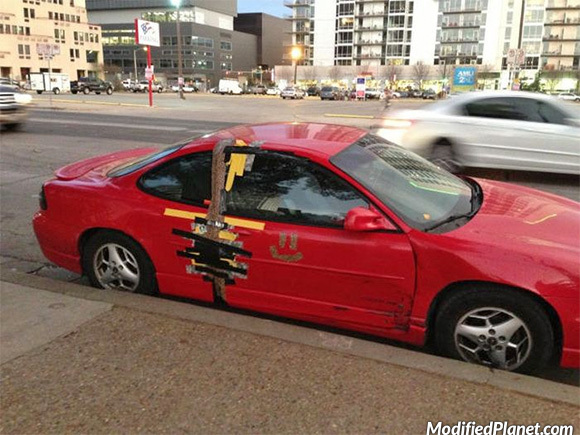 Owner of this 1999 Pontiac Grand Prix decided to fix his leaky door using duct tape. Car fail. 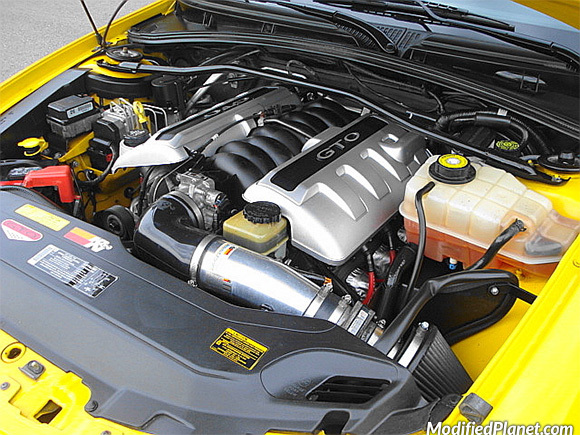 Modified 2004 Pontiac GTO engine bay featuring a K&N air intake system. 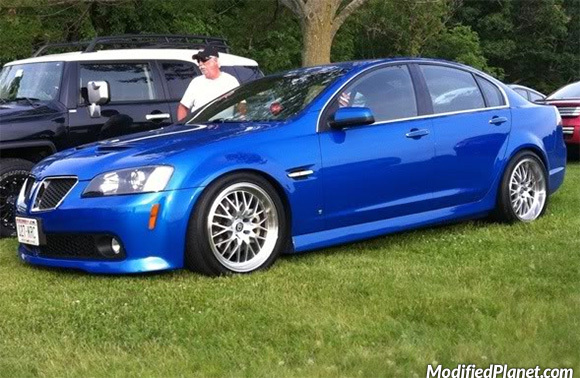 Modified 2009 Pontiac G8 GT sitting on a set of 19″ Raderwerks M-Ten85S wheels. 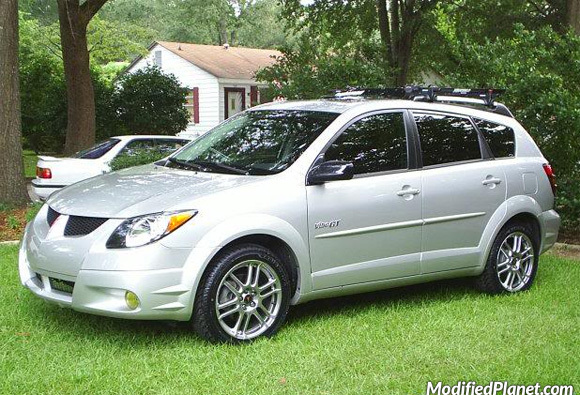 The front wheels measure 19″ x 8.5″ and the rear wheels measure 19″ x 9.5″. 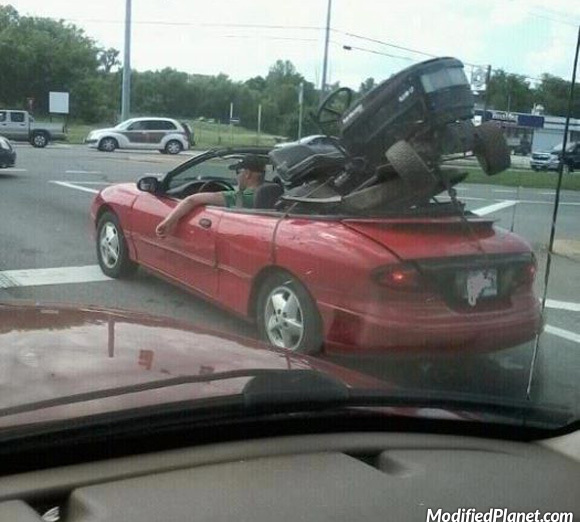 Owner of this 2000 Pontiac Sunfire convertible decided to move his lawn mover by putting it in the back seat. Car fail. 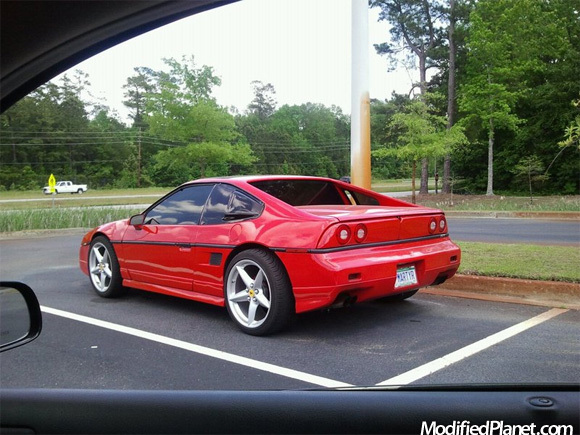 Modified 1988 Pontiac Fiero featuring 2002 Ferrari Modena 18″ wheels and 2002 Ferrari Modena look tail lights conversion.